Theories regarding treatment are as plentiful as the number of prescriptions given for depression. As one size doesn’t fit all, treatment will vary from one person to another. I was listening to a radio show recently and heard a Harvard PhD say that “there is no such thing as a chemical imbalance, depression is all emotional”. The comment was so surprising to me, never having heard anyone say that before, that I imagine other doctors and mental health professionals will take issue with it. He went on to say that the drugs given for depression eventually stop working and the symptoms re-appear until you do the hard work that’s needed to get to the root cause of your depression or problem. Having something or someone to blame for your depression, or any problem in life, makes it easy not to look at yourself and assume responsibility. While I think each person needs to do what works for them, my own belief system is more in line with what this doctor said. Owning your inner stuff is a hard pill to swallow. It may require making some uncomfortable life changes. You may realize you’re not happy in your marriage, with your job, or any variety of things that need to be addressed that you have been putting off. I doubt there is a human being on the planet that hasn’t been in denial about something in their life at one time or another. Sometimes it’s easier to push it down and avoid having to deal with it. In the long run going through the pain is more beneficial then skirting around it. 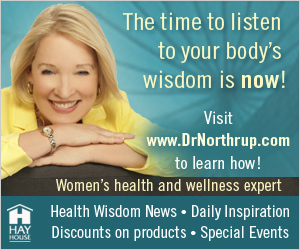 Women know that our hormones can wreak havoc at certain times of the month and especially as we enter menopause. However, many women, including myself, do not have any mood problems during the menopause transition. Dr Chris Northup says that menopause is the time that all the unresolved emotions in your life surface in a big way, and if you haven’t dealt with them in the past they return at menopause in the form of depression, mood swings, weight gain and pain. Our bodies communicate with us until we listen……. There are “cold spots” for depression around the globe. This means that a particular area has a very low rate of depression. The common thread appears to be lifestyle related. In Iceland where the winter months are mostly spent in continuous darkness the rate of depression is very low. It appears that there are a few reasons for this. The typical Icelandic diet consists of high levels of Omega 3 fatty acids. Scientists have discovered that a diet rich in omega 3’s results in less depression and lower incidences of other psychiatric problems such as anxiety, bipolar diseases, schizophrenia and antisocial behaviors. These fats are essential for the brain and nervous system. Icelanders eat a lot of omega-3 rich fish as well as antioxidant-rich vegetables and whole grains which have folate and other b vitamins. They exercise, but not at the gym. It’s primarily by gardening or doing things they enjoy that require them to move. Americans are way too sedentary due to addiction to TV and computers. Don’t skip breakfast but eat the right breakfast…scrambled eggs, whole grain toast and cereal is ok, but make sure the cereal does not have any more than 5 grams of sugar. Fruit and yogurt, oatmeal, smoked salmon (a very good source of omega 3’s) and even whole grain pancakes are also ok. Eat more fruits and vegetables and think “rainbow,” eating as many colors as you can. Drinking alcohol worsens depression so work on cutting that out of your life. Drinking 2-3 cups a day of black or green tea has been shown to have a positive effect on depression. Connecting to a community and reaching out to others will enhance your well-being even if you don’t have depression. If you are already taking medication these are lifestyle changes that will help manage your depression. I would also try adding yoga and meditation, massage and some energy work such as reiki, charka balancing or vortex healing to clear emotional blockages in the body. When you suffer from depression getting out of bed can be a struggle so doing the work is going to take a commitment, but it will be worth it. Take baby steps and do one thing a day to enhance your well-being. Approximately twenty percent of people with depression do not get treated. While there are many who do not have health insurance others feel ashamed to admit they are depressed. Our cultural norm is to say everything is perfect, looks perfect and feels perfect when in fact it is so natural to have ups and downs…and what does perfect mean anyway? So if you have any of these symptoms seek treatment, and if you know of someone with depression reach out to them. There is new research all the time and there are many treatment options available. I have known people who said that being depressed was the start of the happiest time in their life because they made a commitment to self discovery, and I believe we all have that ability inside of us.